Musa Aisha Tecna Flora Bloom Stella. . HD Wallpaper and background images in the Winx Club club tagged: vs.
Why do people always draw Flora with Stella and Bloom?! She does NOT look good with them! She is better with Tecna and Musa/ Laya and Musa/ Layla and Tecna! 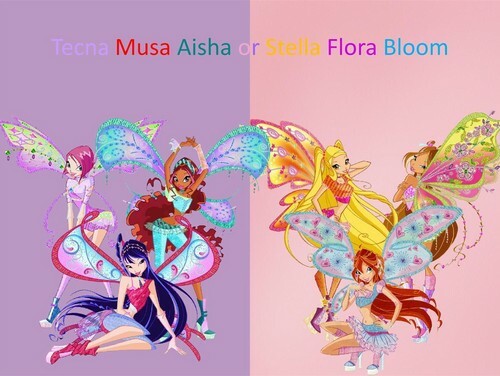 Stella, Flora, Bloom! :D They are my three best!